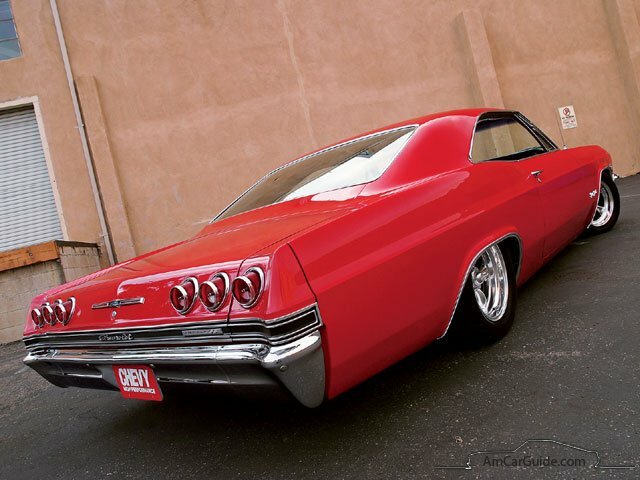 The Chevrolet Impala SS is a legacy of GM’s performance full-sized vehicles. 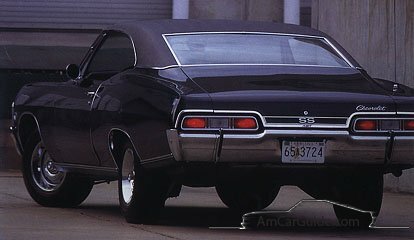 SS stands for “Super Sport”, it was manufactured in 1961-1969 period [1st generation]. 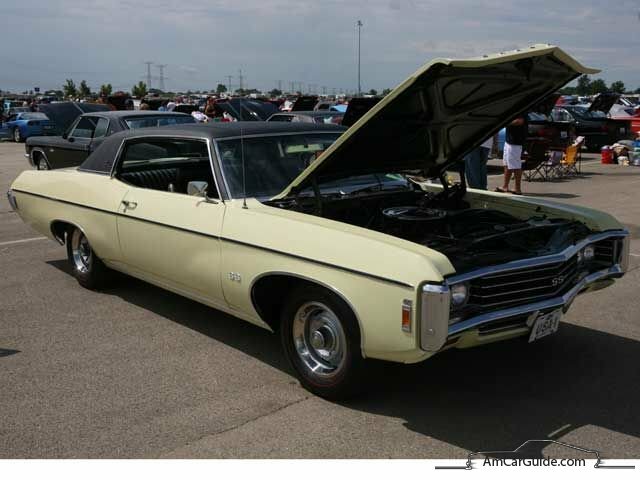 SS had a few high performance engines: 348 cubic V8 [5.7 liter, 305/340/350 HP available] and 409 cubic muscle [6.7 liter, 425 HP]. 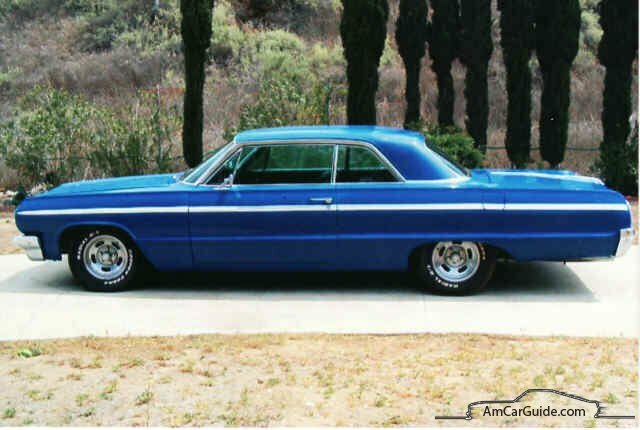 The 409 was built to compete Ford’s 390 engine which eventually outperformed Chevy by 19 HP, but still got much attention and respect. 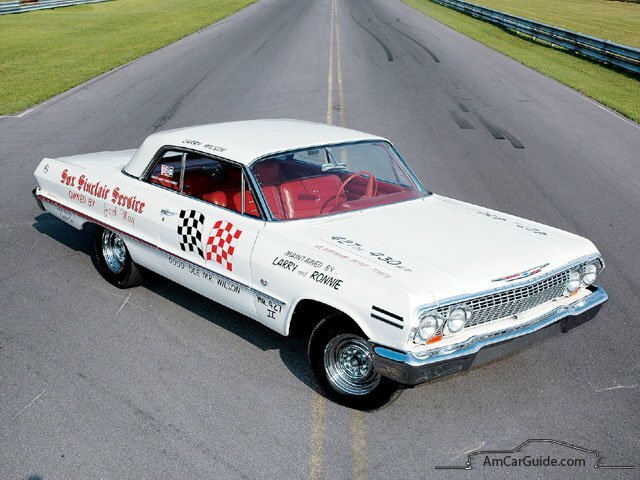 The 409 legend started a real grow in 1962, when it got Carter AFB four barrel carbs and a lightweight valve train [409 HP]. 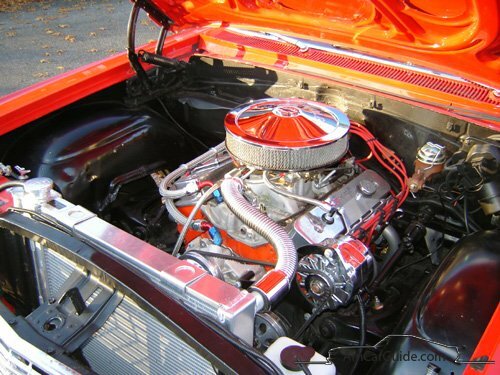 As if 425 HP after 409 changes in 1963 was not enough, Chevrolet introduced new Z-11 engine that officially had 430 HP, but was easily tuned up to 500HP – this brought great popularity among drag racers. 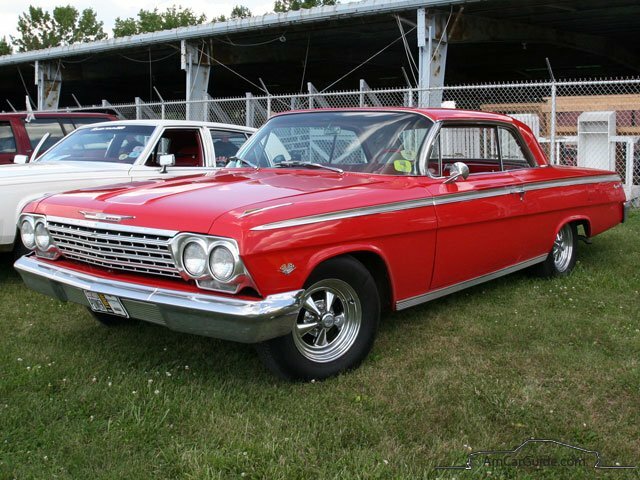 In 1965 409 was replaced by brand new 396 V8. 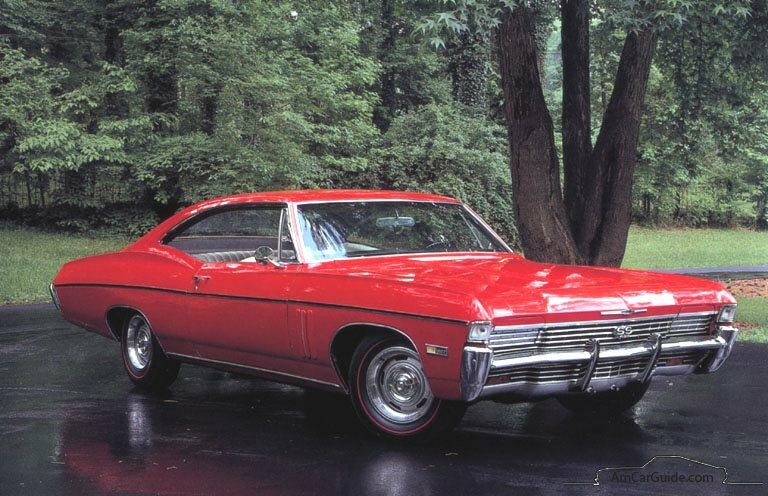 SS was mostly an option package that also included upgraded tires, station wagon wheels, custom springs, shocks, special brake linings and a few more exterior/interior improvements, etc. 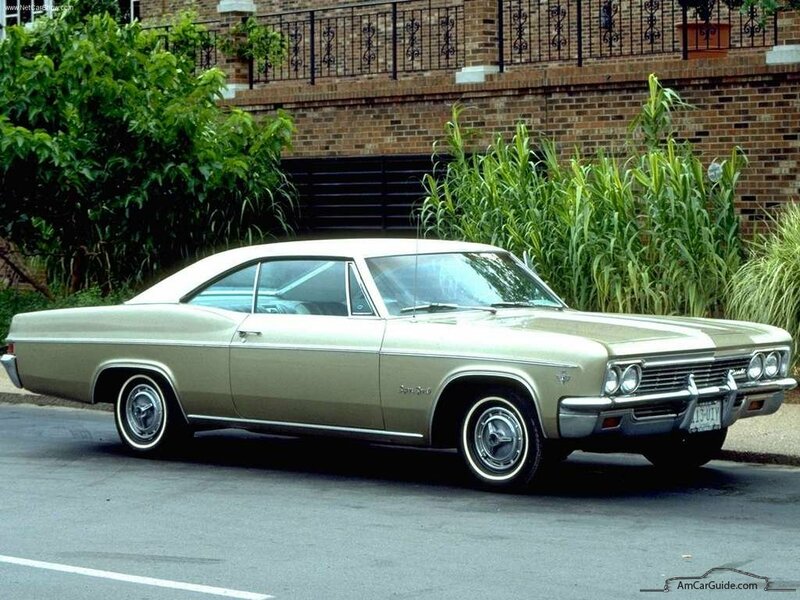 Only during 1964 SS was more a separate model than an option kit. 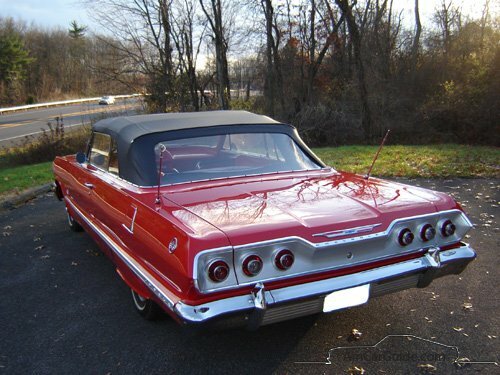 It featured unique exterior trim and rich interior and was available only as convertible or Sport Coupe. 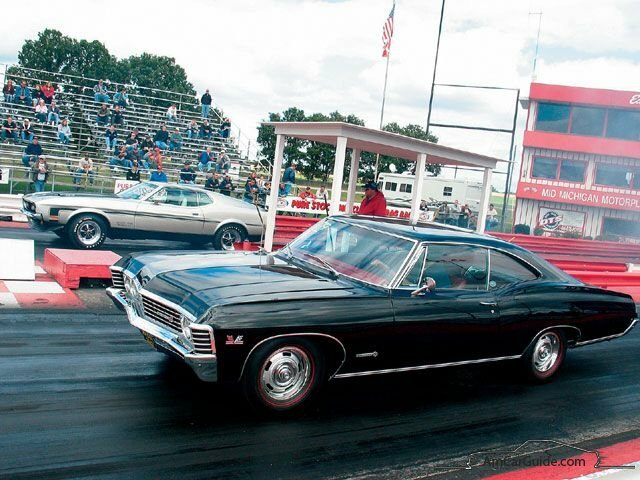 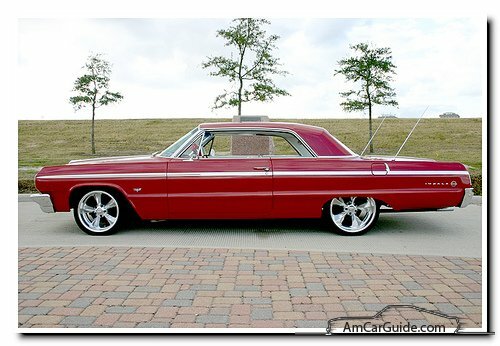 After Pontiac’s GTO introduction, Impala SS started to lose competition to smaller, lighter, similar performance and cheaper muscle cars. 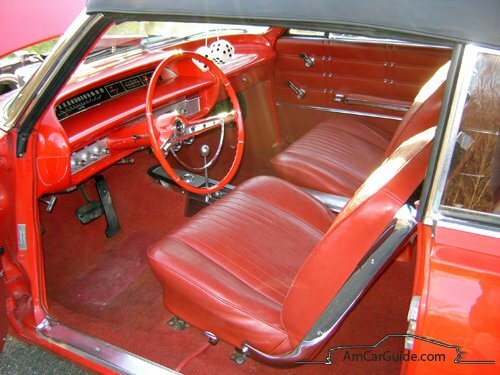 Since 1962, SS were limited to hardtop and convertible coupes and known as Z02 package. 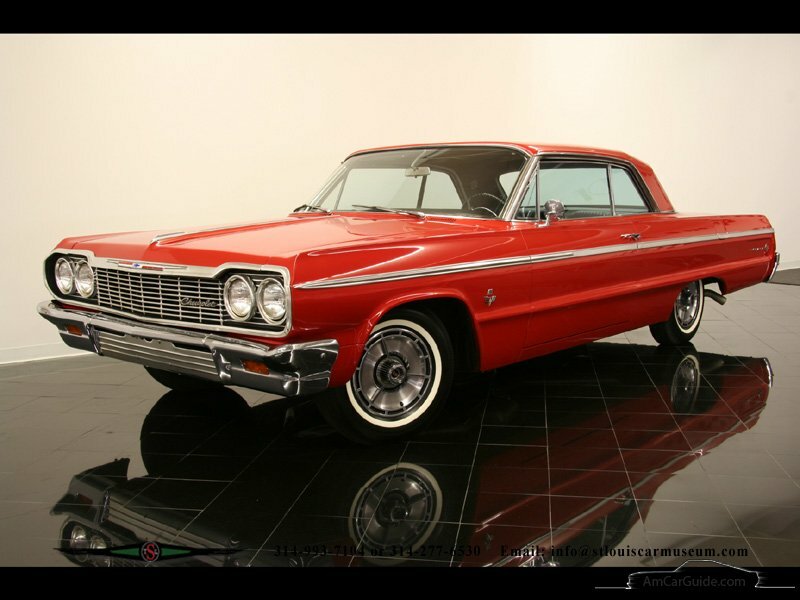 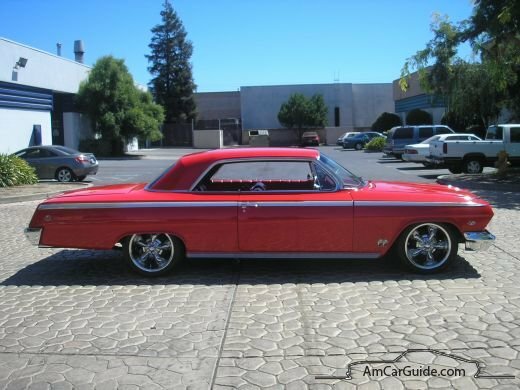 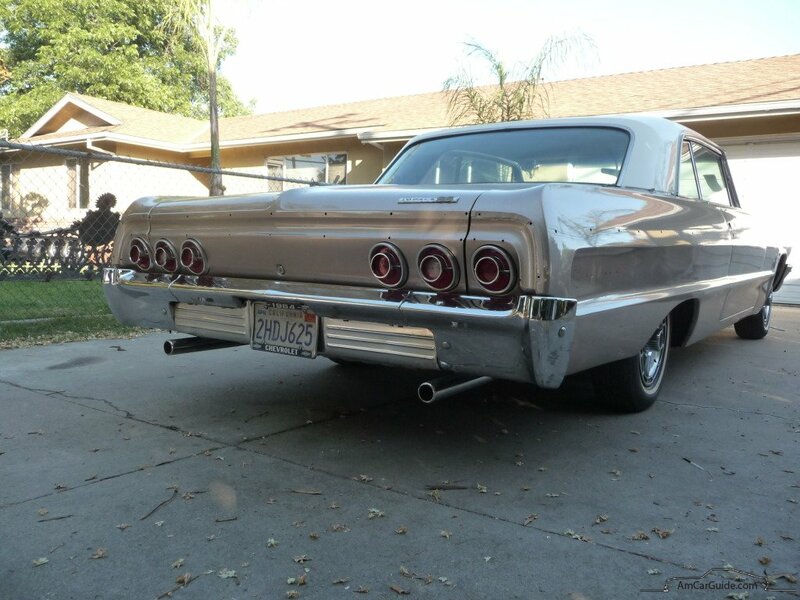 By 1966 Impala began to lose its glow to other Chevrolet – Caprice – which stole Impala’s luxury image and sales. 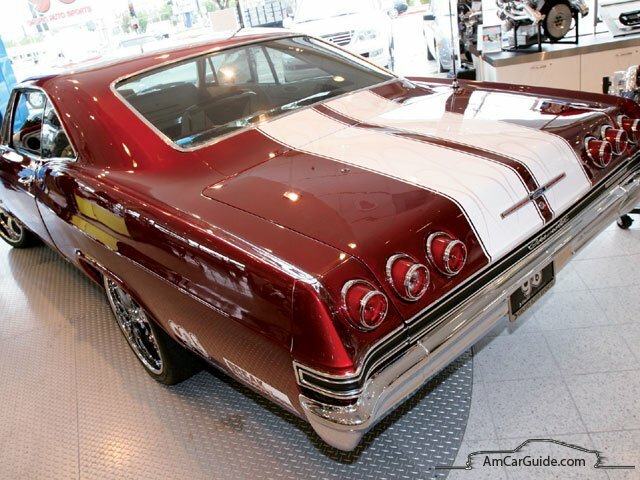 The SS became more an appearance package than performance one. 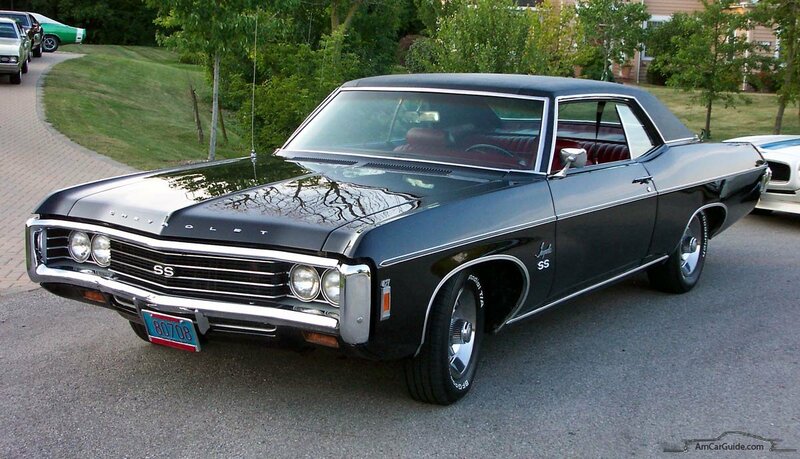 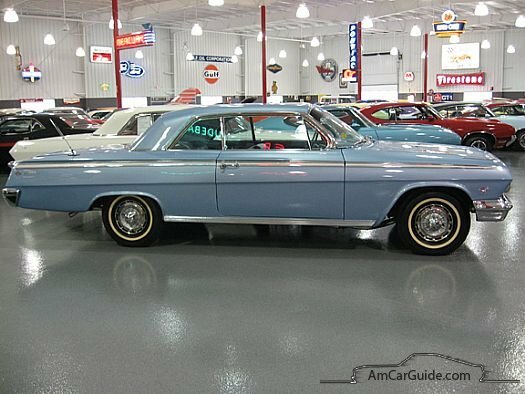 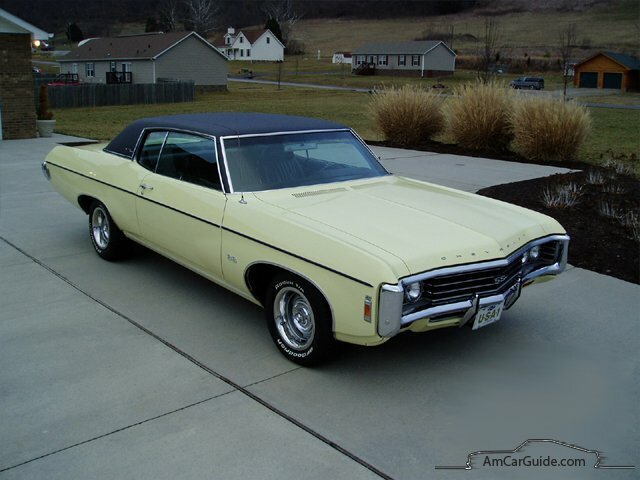 In 1967-1969 period Impalas were badged as SS427 models and had a few minor changes both in power-train and interior. 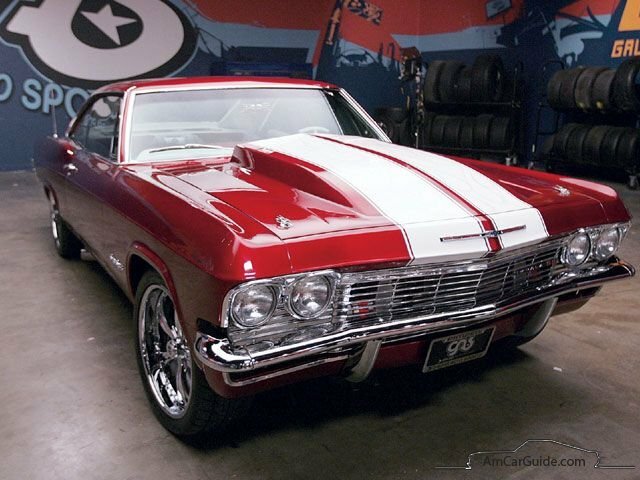 Only a true 1969 Z24 packaged Super Sport’s are rarest and collectible of all the SS427s. 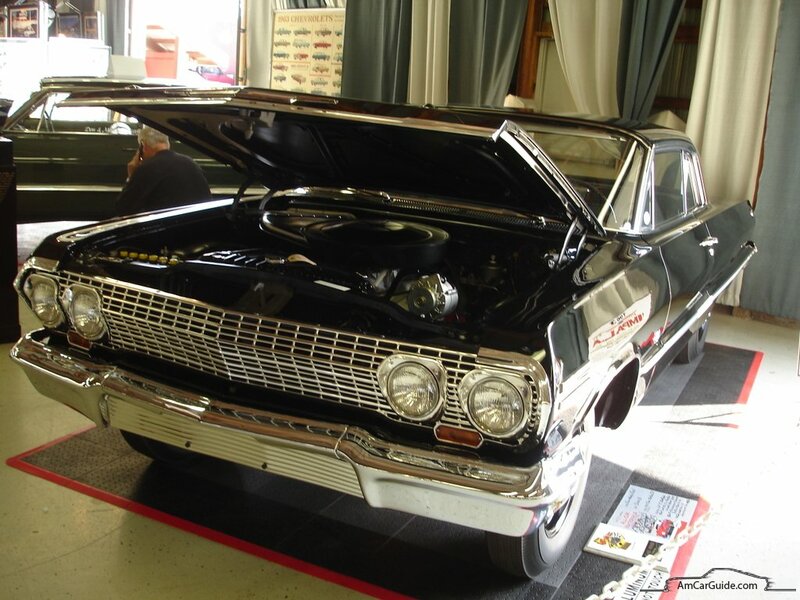 It included heavy-duty suspension, turbo-jet 427 cubic [7 liter] V8 with either 335 HP, 390 HP or 425 HP. 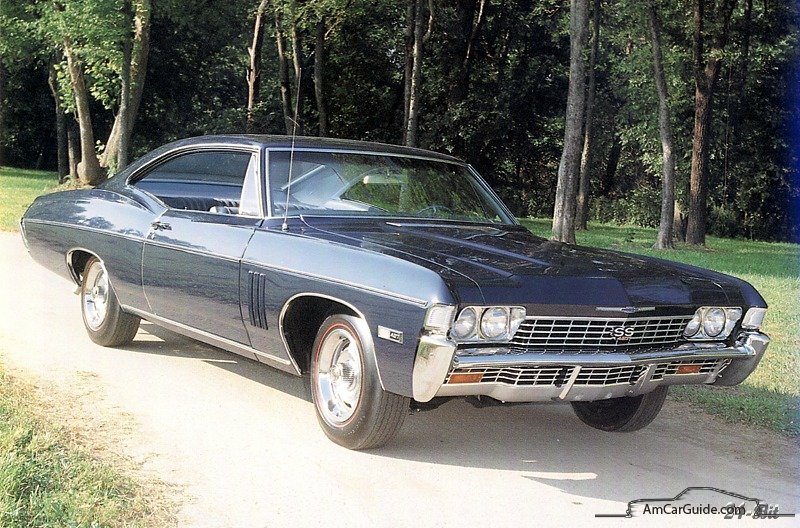 By the end of 1969 the SS option was removed due to poor sales. 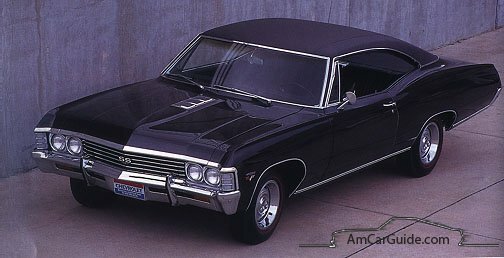 Until then until 1994-1996 [2nd generation] Impala never got its performance back becoming simple full sized luxurious car.